Stars often complain that they find it hard to trust people and make new friends because of their status, so it's always lovely to see a genuine celebrity friendship. 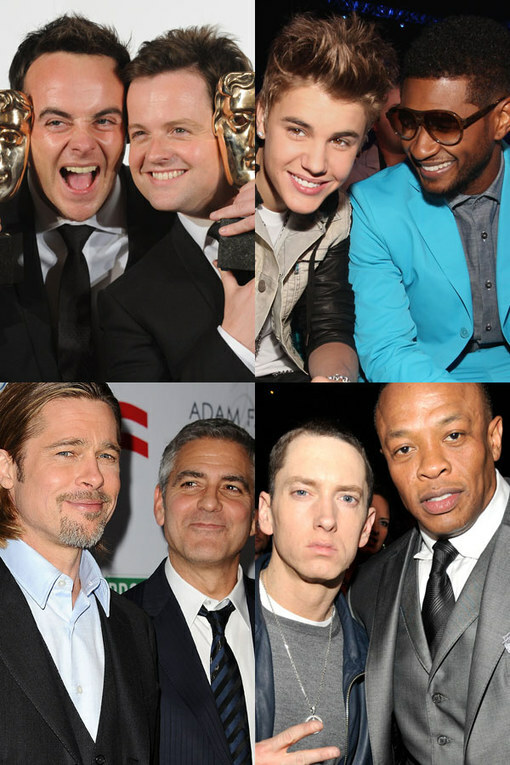 Most adorable, we reckon, are celeb bromances - an unbreakable bond between two guys that makes them come over all sappy. We're still feeling the love after Valentine's Day, so decided to put together an oh-so-cute album of top famous guy mates.